We have everything you will need for your event to be a success, 2 large rooms with over 400m2. 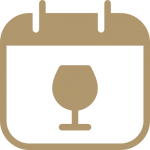 2 open patios, where you can breathe the atmosphere of the cellar on all four sides of 450 square meters and a closed courtyard of 150 square meters. 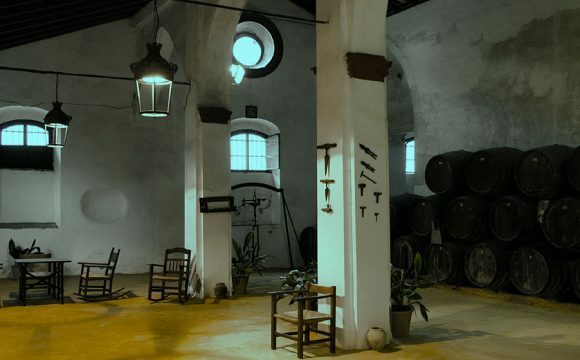 All this in the atmosphere of an authentic Jerez winery, you can live a unique and real experience. The event spaces are work locations of the winery, so you will feel in an authentic environment. Due to its layout and size of 4000 square meters, the Casa-Bodega is perfect for any type of event. You can have our multipurpose rooms for the following business events: Conferences, seminars, team booster, team buildingand presentations. Located in an unbeatable location, Lebrija has the best of the banks of the Guadalquivir with an ecosystem suitable for viticulture. The Casa-Bodega is part of the history and culture of the town where it is located. Center of cultural and historical interest. Average temperature 17.6º C. The average rainfall is 595 mm. Due to the proximity to the sea the temperatures are softened. 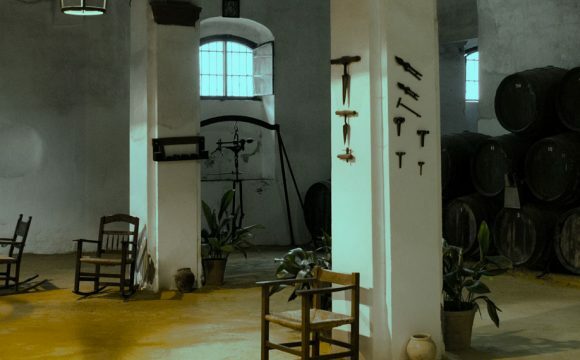 We will find dependencies related to winemaking such as wineries, cooperage, cruets, and warehouses. We have hosted writers, intellectuals, and bullfighters. Personalities such as Pio Baroja, Fernández Villalón or Pepe Luis Vazquez. If you have any issues or questions about having your events in any of our locations, do not hesitate to contact us. Enjoy our wine tourism with Bodegas Halcón, learn the best pairings from our experts.